What’s Up with Socially Responsible Investing? Socially responsible investing (SRI) lets you target individual companies or socially conscious mutual funds. For example, you might look to avoid tobacco, alcohol or gambling firms, and instead support companies with a good track record in social justice, environmental sustainability and alternative energy/clean technology efforts. SRI is growing into a widely followed practice with dozens of new funds and pooled investment vehicles available to retail investors. Mutual funds and ETFs can provide an added advantage of gaining exposure to companies across many sectors with a single investment. The goals of socially responsible investment are twofold: social impact and financial gain. Community investing that goes directly to organizations with a track record of social responsibility has the added sweetness of helping communities that may not have had access to funding through banks or other financial institutions. You may want to funnel your money so it goes to affordable housing and loans. You may want to improve communities to reduce dependency on government assistance, for example. You may be more keyed in to global warming and climate change and want to positively impact the environment through the companies you invest in. You can look for firms working on reducing emissions or sustaining clean energy sources. At the same time, you may exclusively avoid coal mining and fracking in order to vanquish from your portfolio any investments that have a negative impact on the environment. Of course, “socially responsible” means different things to different people. There are investment options for the devout, for example. Consider the Ave Maria funds, which are guided by Catholic teachings in making investing decisions. A variety of funds make it a point to avoid so-called sin stocks, such as alcohol and gambling. The Muslim religion has strict rules about loans, so many Muslims want to avoid stocks in financial institutions. On the other hand, there is at least one fund that goes in the other direction: The Vice Fund, which focuses on sin stocks, invests primarily in stocks generating the majority of their revenue from alcohol, tobacco, gaming and defense industries. You can target casino operators, gaming equipment manufacturers, defense equipment makers, or alcohol and tobacco producers. 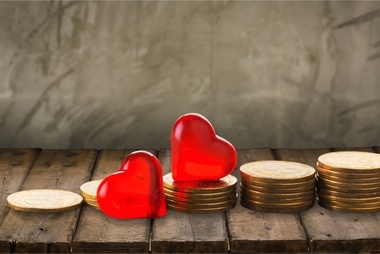 Some investors believe that the goal of investing is simply to make money, and the good we do comes from the charitable donations we make with our profits. Whatever your thoughts are, socially responsible investing is here to stay. According to one study, more than one of every five dollars under professional management in the U.S.—$8.72 trillion as of year-end 2015—was invested in SRI strategies. You want to provide important societal benefits and aim for strong financial performance. Socially responsible investing, you believe, has an impact on companies as it gains traction with business and the investing public. Of course, investing decisions are complicated and important. Before making any decisions, think over the risks and implications and consult with financial professionals.